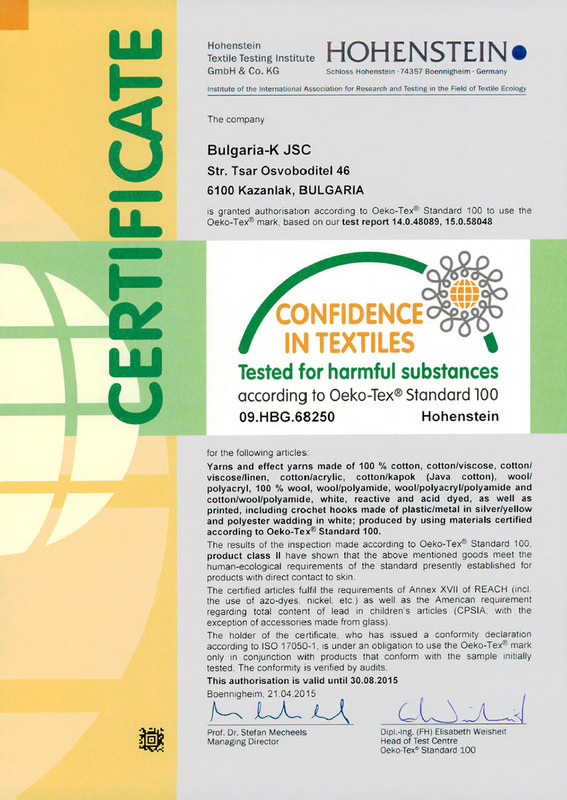 Oeko-Tex Standard 100 is an independent testing and certification system for textile products from all stages of productionalong the textile value chain. The label ‘Confidence in Textiles’ of the product-related Oeko-Tex Standard 100 is supplemented by the certification of environmentally friendly production facilities according to Oeko-Tex Standard 1000 and by the product label Oeko-Tex Standard 100 plus for products tested for harmful substances from environmentally friendly production. The BSCI is based on the labor standards of the International Labour Organization (ILO) and other important international regulations like the UN Charta for Human Rights, as well as on national regulations. This initiative aims at continuously improving the social performance of suppliers, ultimately enhancing working conditions in factories worldwide.